A 12 KOM Week training program to get riders ready for the epic climb that is the Taiwan KOM Challenge, as ridden last year by Vincenzo Nibali, Emma Pooley, Cadel Evans, Phil Gaimon and the GCN crew! 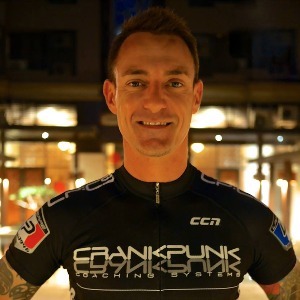 Designed by the Taiwan KOM Challenge official coach, former pro rider Lee Rodgers of CrankPunk Coaching Systems, who lives by and trains weekly the KOM hill, this is the optimal plan available to get you ready for the unique challenge that is the Taiwan KOM: 3,275m over 85km! With consistency and dedication this plan will get you up this massive, beautiful mountain within the 6.5 hr cut-off time. The plan is designed to work over 4 phases: Base, Stamina, Power and finally Tapering. However, assuming most riders who have signed up for the KOM are already fit to a certain degree, the early stages are peppered with speed and power work also. My plans are never boring, for sure! I rode as a professional for 7 years whilst working 40-50 hrs a week so I know the challenges of this kind of schedule, however I competed all over the world against the very best riders in cycling and know that my plans work - because I used them myself! Can be completed with or without power meter (without, we use a Perceived Rate of Exertion scale). NOTE: Please email me at lee@crankpunk.com to receive Notes that accompany this plan. On Last PRE 6 section, add on 15 seconds Full Gas sprint to 'The Line', raise arms, practice victory salutes! IF riding with usual Saturday Group, up to YELLOW effort is ok but bear in mind that this is Week 1. Try to get in shallow hills, nothing too steep, and work on climbing in the saddle with the hands relaxed. Imagine a glass of beer on your bars - don't spill it! Push and pull with the legs to keep the backside on the saddle, head steady as you can, smoooooth like a pro! Warm up, then PRE 5 on flats, and PRE 6 on climbs, Spin, spin and spin some more. Try if you can to choose hills that are ones you like, so that you can measure the efforts. Steady Eddie is the way forward here. If there is a Big Hill around, go ride it, include it in the ride. There's no set meters today for climbing, just get in as many hills as you know you can manage without needing to call a taxi home! & straignt from last sprint to 2 mins building effort to 'The Line' - last 30 secs should be killing ya! RED: Sufferfest The Hunted. Follow the video or instructions here [http://www.thesufferfest.com/video-sufferfests/thehunted/] for the workout.